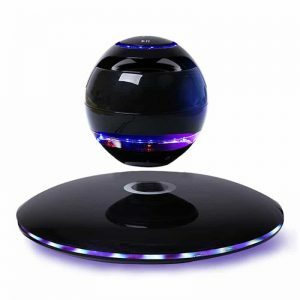 Click here for all Bluetooth and USB Gadgets for your laptop, smart phone and tablet and you’re inside the technology! 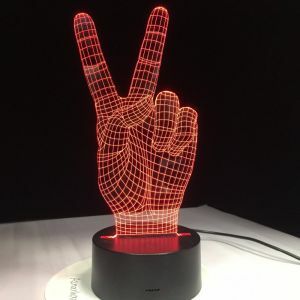 See what time it is on the rotating fins of a USB fan and discreetly illuminate your living room with a Bluetooth electronic candle with 16,000,000 colors! Touch the leaves in the flower that you have in the “smart” flower pot to hear it get out … notes and load your cell phone into the most fashionable power banks. Go out for winter by wearing the most “smart” Bluetooth gloves that answer your calls and get to know all those handsets that will solve your hand. It secretly stashes in your pocket, purse, or even your wallet with ultra slim design.You will no longer have to worry about the electronic devices power off while on the go. 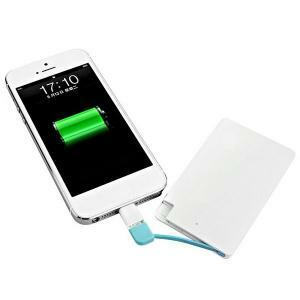 Power banks and chargers are a great travel accessory wherever and whenever you go. 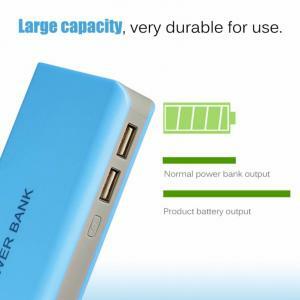 2600mAh External Battery USB for iPhone, Samsung and Xiaomi smart phones. €7.02 Tax exc. €5.27 Tax exc. 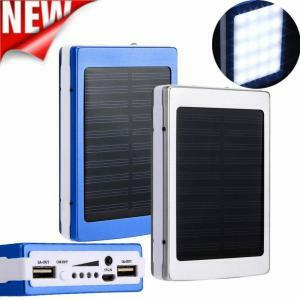 Portable battery power bank box shell case with dual USB 2 Ports and LED lamp illumination. Charging-in with USB cord, or by charging the batteries with other chargers. 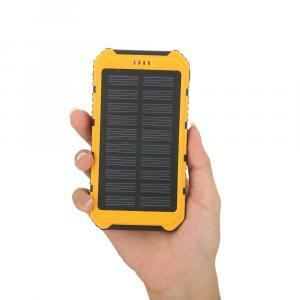 Battery Capacity(mAh) : 10001-15000mAh and battery type : 18650 lithium battery. €5.37 Tax exc. €4.03 Tax exc. 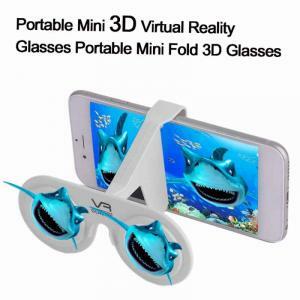 It secretly stashes in your pocket, purse, or even your wallet with ultra slim design.You will no longer have to worry about the electronic devices power off while on the go. Power banks and chargers are a great travel accessory wherever and whenever you go. Charging-in with USB cord, or by charging the batteries with other chargers. 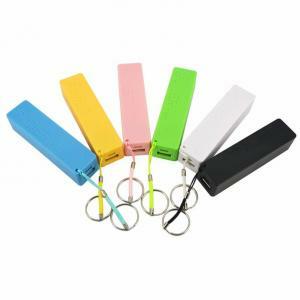 Battery Capacity(mAh) : 10001-15000mAh and battery type : 18650 lithium battery. €3.00 Tax exc. €2.25 Tax exc. Say “goodbye” to the limitations of traditional wired charging and welcome to the ease and elegance of wireless charging. 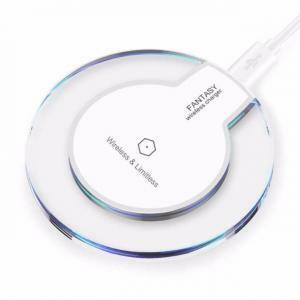 5W wireless fast wiring technology lets you enjoy the speed of wired charging wirelessly. The Qi standard provides intelligent recognition of smartphones, wireless headsets and other devices and adjusts output power automatically for safe charging. No need to remove the case. It can easily penetrate non-metallic pouches of thickness <= 5 mm. It automatically deactivates when keys, coins, and other metal objects are detected. 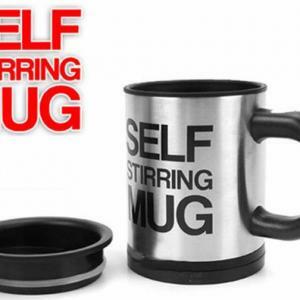 It retains temperature control of identities / travel cards and other metal-containing accessories to avoid overheating. It has an integrated chip for automatic power output adjustment according to actual temperature and battery percentage in real time. 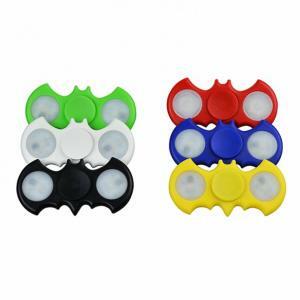 It is made of soft and pleasant silicone surface that protects your phone and prevents it from falling. It includes a 50 cm Micro USB Data cable. Everything you need is in the box. Open, plug and charge. €10.00 Tax exc. €7.50 Tax exc. Say “goodbye” to the limitations of traditional wired charging and welcome to the ease and elegance of wireless charging. 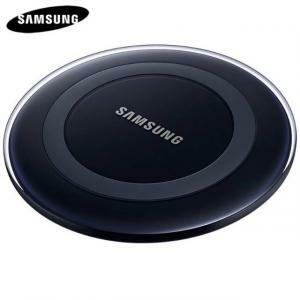 5W & 15W (Max) wireless fast wiring technology lets you enjoy the speed of wired charging wirelessly. The Qi standard provides intelligent recognition of smartphones, wireless headsets and other devices and adjusts output power automatically for safe charging. No need to remove the case. It can easily penetrate non-metallic pouches of thickness <= 5 mm. It automatically deactivates when keys, coins, and other metal objects are detected. It retains temperature control of identities / travel cards and other metal-containing accessories to avoid overheating. It has an integrated chip for automatic power output adjustment according to actual temperature and battery percentage in real time. It is made of soft and pleasant silicone surface that protects your phone and prevents it from falling. It includes a 50 cm Micro USB Data cable. Everything you need is in the box. Open, plug and charge. €13.00 – €23.00 Tax exc. €9.75 - €17.25 Tax exc. 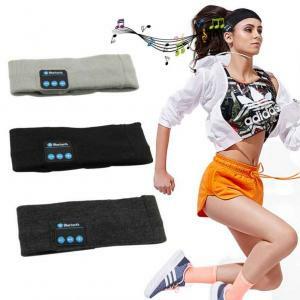 This headband keep your head warm, allows you to listen to your music without having to wear additional headphones, and protects you from being disturbed by your mess hair and sweat. Built-in microphone so as not to miss any callings. Our workout bluetooth headband perfectly absorbs all sweat during sports activities like yoga, running, jogging, etc. Our Yoga headband will not hange its size or slip off during use because it’s elastic and fits all sizes. Music bluetooth headbands made from Nylon+Cotton and provide a soft and comfortable feeling. Built-in 200mAh high-performance battery. €10.22 Tax exc. €7.67 Tax exc. It secretly stashes in your pocket, purse, or even your wallet with ultra slim design.You will no longer have to worry about the electronic devices power off while on the go. Power banks and chargers are a great travel accessory wherever and whenever you go. 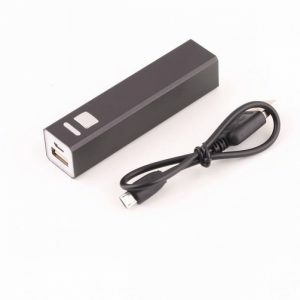 1500mAh External Battery USB for iPhone, Samsung and Xiaomi smart phones. €6.10 Tax exc. €4.58 Tax exc. 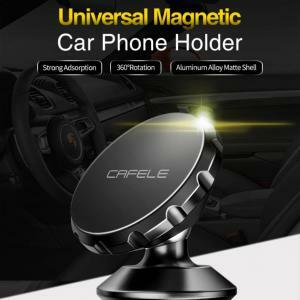 The product integrates the fashionable Sun-bonnet and Bluetooth Headset which is equipped with built-in speaker and microphone, supporting hands-free function. The Bluetooth Music Hat provides a fun, cool way to make and take calls on the go. 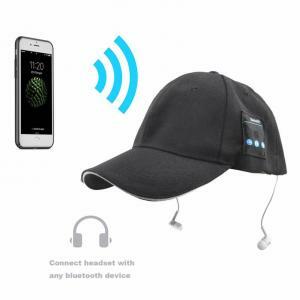 Simply connect the Bluetooth Music Hat with smart phone, Tablet PC and other Bluetooth-enabled devices via Wireless Bluetooth Technology. The multifunctional button controls Power ON / Power Off, Answer / Hang up and redialing the last number. The “+” / “-“ button controls the Volume Up / Volume Down and Previous song / Next song. 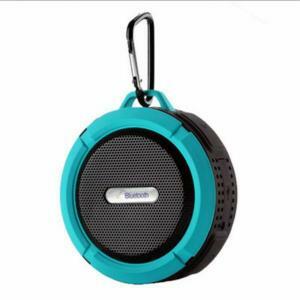 It is equipped with built-in high-quality rechargeable Li-ion battery. €13.50 Tax exc. €10.13 Tax exc. Say “goodbye” to the limitations of traditional wired charging and welcome to the ease and elegance of wireless charging. 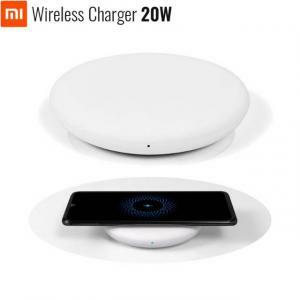 5W-27W (max) wireless fast wiring technology lets you enjoy the speed of wired charging wirelessly. The Qi standard provides intelligent recognition of smartphones, wireless headsets and other devices and adjusts output power automatically for safe charging. No need to remove the case. It can easily penetrate non-metallic pouches of thickness <= 5 mm. 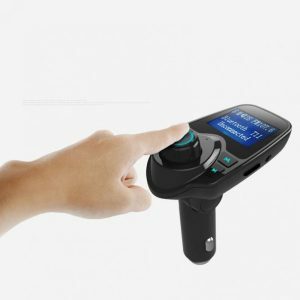 It automatically deactivates when keys, coins, and other metal objects are detected. 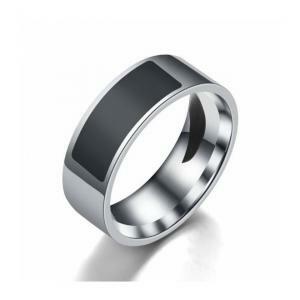 It retains temperature control of identities / travel cards and other metal-containing accessories to avoid overheating. It has an integrated chip for automatic power output adjustment according to actual temperature and battery percentage in real time. It is made of soft and pleasant silicone surface that protects your phone and prevents it from falling. Everything you need is in the box. Open, plug and charge. €20.00 – €41.00 Tax exc. €15.00 - €30.75 Tax exc.